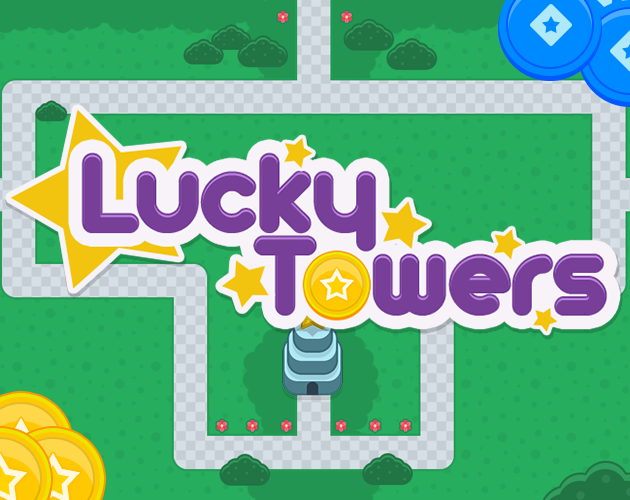 Lucky Towers is an cross between Casino Slots and Tower Defense! Earn your coins and HP with luck and strategy! This is a game jam game made in 3 days for #LDJAM41! Music by the talented Mortistar! I had the feeling that I've been on a very lucky streak, because I got overwhelmed by all the chips for the slot machine. :D I have experienced real difficulties with the resources. But I think the concept of mixing a strategical genre like tower defense with a luck-based gameplay had a neat special touch. <3 Also, the whole slick UI design was lovely. So I recommended this Ludum Dare 41 entry in one of our compilation articles about the jam, along with two other great games. Of course it's also featured in the corresponding gameplay video. :) Keep up the good work! Fun game! The polish on the art is amazing for such a short time. I think it would be good for the pacing if playing the slot machine didn't pause the game. It would make times between waves go faster, and would make it really tense when your base is in danger and you're trying to get more gold to buy that last defensive tower you need. Agreed. And some fast-forward buttons would help too.